The thought of me losing all my digital photographs fills me with dread. It happened when we moved house. I lost the hard drive where I stored all of our holiday photos. I turned our house and the garage upside down and then blamed my Adam & my Mum for putting it somewhere and losing it. It was upsetting but not as bad as it could have been as luckily, I had uploaded a lot of photos onto private albums on Facebook. Interestingly enough, when my Mum was packing our house contents to be shipped to us…she found it! I apologised to everyone. A few years ago, I printed all of our motocross weekend photos and put them into albums. Plain boring albums. They went into a cupboard and haven’t been looked at since. Photos are taken to be shared, to remind us of previous events, whether those are holidays, meals, parties or weekends away. 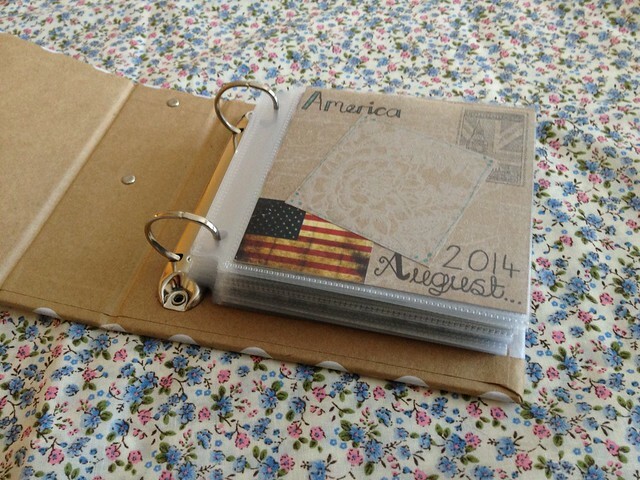 I have been reading the scrapbooking blogs from A Beautiful Mess. They are just lush! I love how their memories are captured and shared creatively. I decided to give it a try with the photos Adam and I have taken up to now while we have been in Alabama. 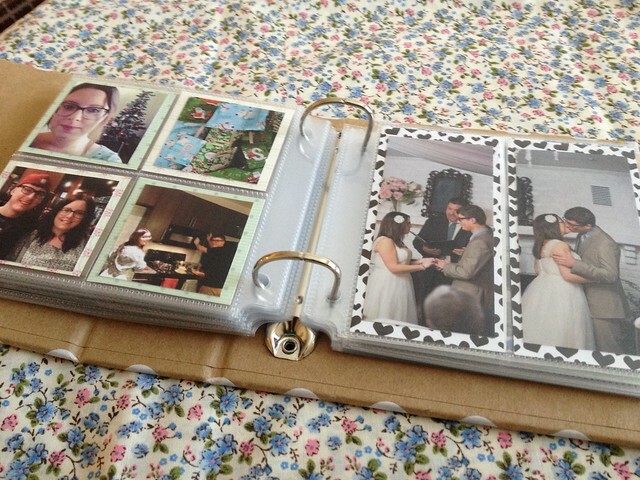 It took quite some time to gather our photographs from numerous social media sites and create a plan for the scrapbook. 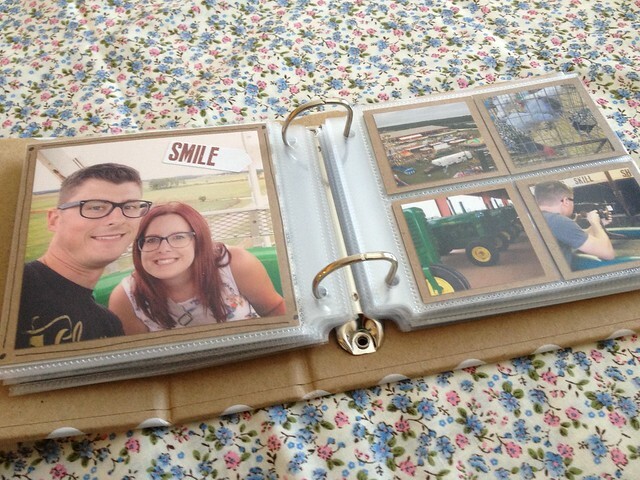 I made a plan because the page protectors that I bought could display photographs in different sizes. I bought the page protectors from Joann’s because I had a total discount coupon and scrapbooking supplies were already on 50% off anyway. I bought a simple small album too but didn’t buy any paper/stickers as I already had loads at home. 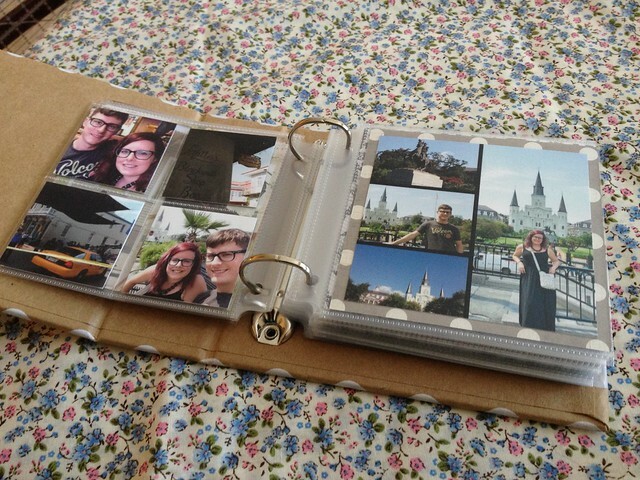 Once all the photographs had been resized and printed, I cut them out and started to insert them into the album. I then decided to make sure each photo had some sort of background so I had to take them all out again to resize and stick to a background. I’m not sure that my book is really a scrapbook, maybe more of a photo book as I haven’t done many pages where there aren’t any photographs. I haven’t done much writing in it either. I have stamped some images, written a few odd words and stickered some photographs. I still need to print a photo for the front cover but up to now I’m really pleased with how it has turned out. Next time, I think I will try to do more pages or sections that don’t have photographs to make it look more creative maybe?! I like the ones on the Beautiful Mess site so I think I’m going to have a good scout through their images to see if I can adapt them to suit me. I like that you printed different sized photos, it’s really attractive. I always print photos because I’m old fashioned haha, they’re just nice to look at and a great back up, but I do only do 6×4″ in normal albums! That sounds like a great idea 🙂 I’m pleased that I’ve inspired you… you should definitely share them on your blog if you get chance! Thanks 🙂 I like having the album out too so I can just pick it up whenever! I love printed photos! 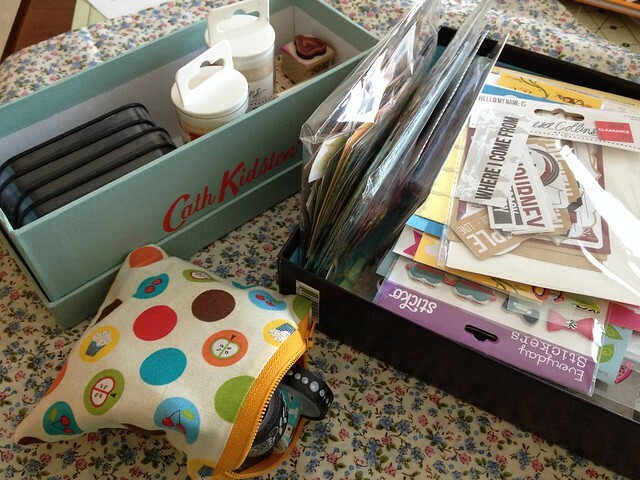 Pingback: Talented Tuesday Link Party #20 - Cook. Craft. Love.